The Drug Info section gives our community access to a comprehensive list of oncology-specific drug information. 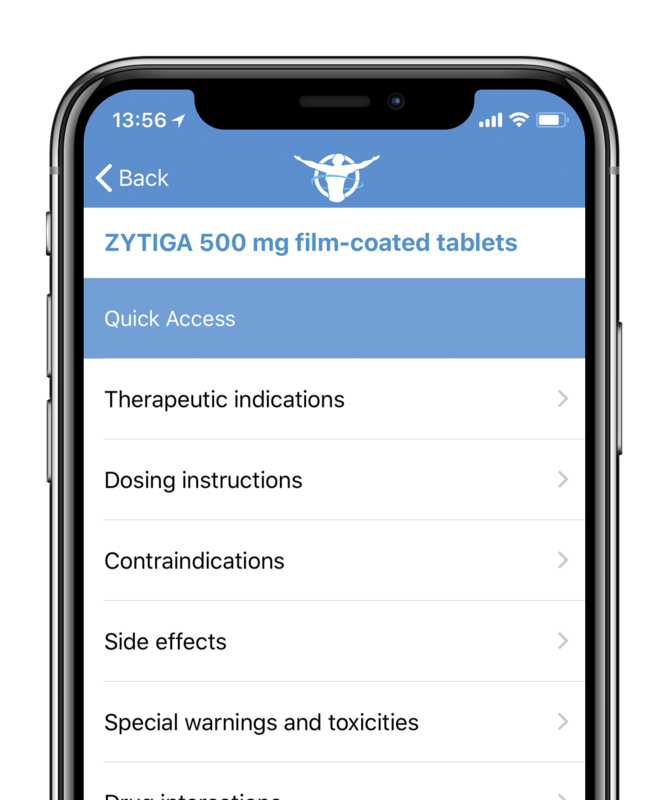 Derived from the summary of product characteristics (SMPC), we organize the drug information in an easy to navigate structure that allows the user to jump in and out of specific sections quickly. Users are able to search for drugs by active ingredient or trade name and we have created a quick access list within each drug section with the most relevant information that we think an oncology hcp needs. The drug information contained in this section of the app has been built in collaboration with datapharm.org.uk who are the makers of www.medicines.org.uk. The content is from the UK but is EMEA approved. In order to ensure accuracy, it is recommended that you reference this content against your local SPC information to ensure accuracy. We have created this section with the help of our ONCOassist community who have guided our team on what to include in the platform. We are constantly adding tool and information based on feedback so please contact us if you have any suggestions.